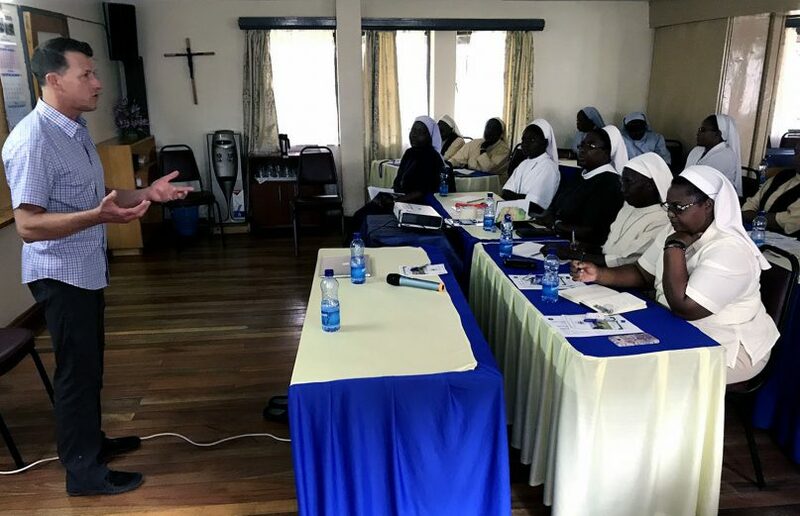 Sister Christine Imbali of the Assumption Sisters of Eldoret, in western Kenya, has been working to help low-income women and families end their reliance on her small community of Catholic religious women and other charitable groups. Instead of a charity, she wants to give families in the country’s fifth-largest city the option to be self-sustaining and to contribute an important aspect of a healthy city — nutrition. “You cannot evangelize to people who are hungry, who are dying, who are not getting an education,” Imbali said. 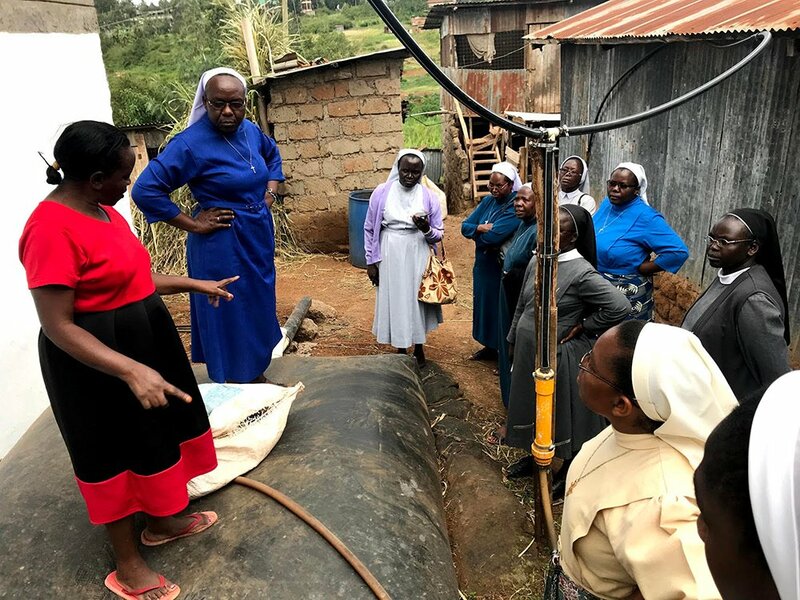 In April, she hopes to introduce poultry farming to her families in hopes that social enterprise, as these kinds of helping businesses are known, will take off in Kenya. The notion of do-gooding chickens originated in July of last year at the third Vatican Conference on Impact Investing in Rome. The conference was part of a series intended to “serve as a vital, long-term, global platform around Pope Francis’ vision of ‘placing the economy at the service of peoples,’” according to the conference’s report. It was there that Sister Eneless Chimbali, secretary-general of the Association of Consecrated Women in Eastern and Central Africa, met Thane Kreiner, executive director of the 22-year-old Miller Center for Social Entrepreneurship, an “accelerator” of social enterprise startups at Santa Clara University, a Jesuit school in Northern California. The center focuses on poverty, climate change and social inequality and works with a diverse range of industries. 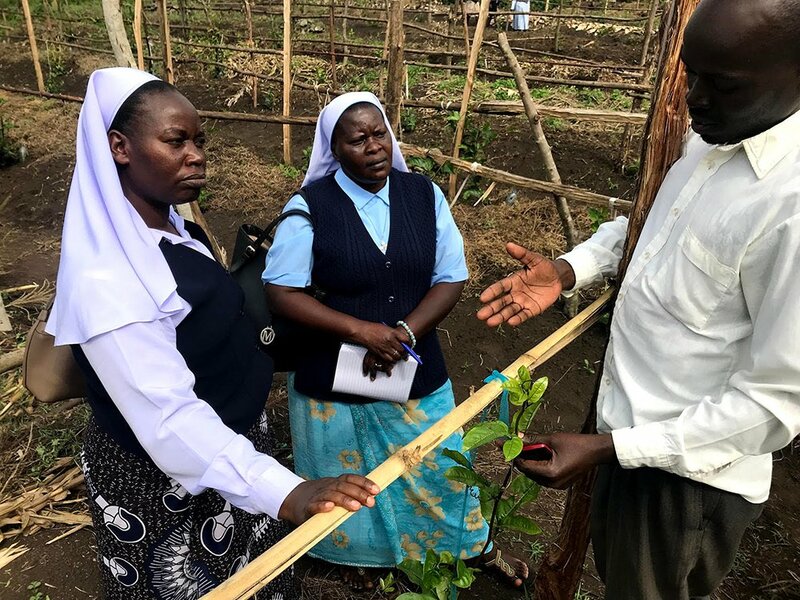 The meeting was exactly the kind of unexpected partnership the planners of the Vatican conference had envisioned, said Beth Collins, Catholic Relief Services’ managing director of impact investing. Back in California, John Ottoboni, chief operating officer and senior legal counsel at Santa Clara University, had been waiting for the right way to honor his wife, Nancy, who had recently died from early-onset Alzheimer’s disease. The project, now known as the Sisters Blended Value Project, has generated ideas for social enterprise startups ranging from Imbali’s local poultry farming to health care programs. Miller Center hopes to replicate the March workshop at other ACWECA congregations. There are more than 400 member congregations, comprising some 30,000 sisters. 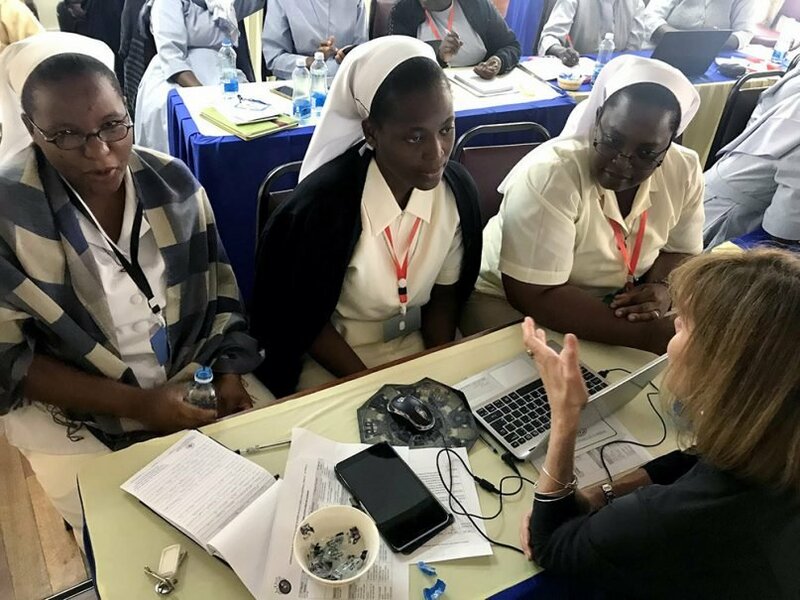 Kreiner expects that if he can reach 10 percent of the congregations over the next three years, the movement will spread through the sisters’ network to grow the number of social enterprises. 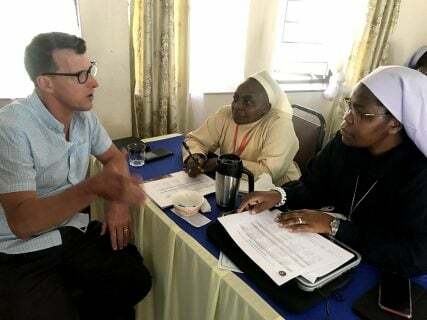 “Our idea at the end of this project is for you to transform your social ministries into social enterprises,” said Sister Cecilia Njeri, ACWECA’s president, in her opening remarks at the March workshop. Some of the sisters had previous experience in business. 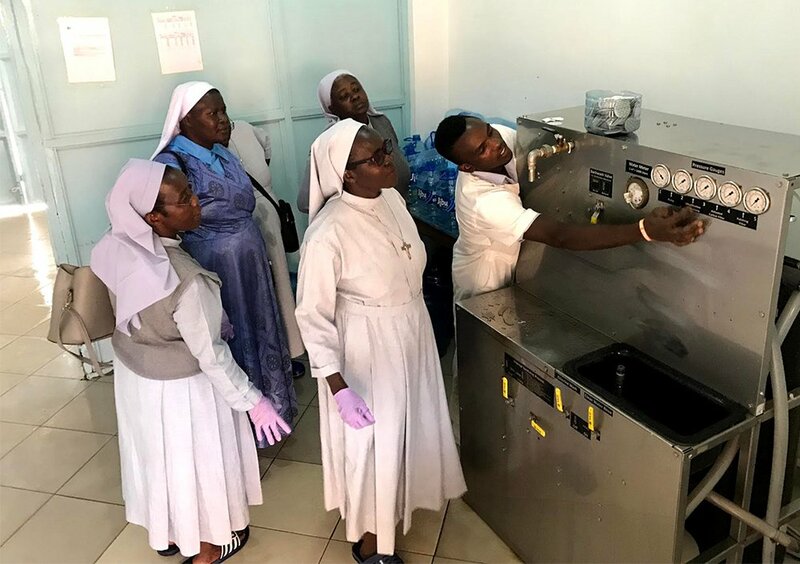 Sister Juunza Mwangani of the Religious Sisters of the Holy Spirit in Zambia has a business degree, but prior to the workshop she had never blended her charity work with her business experience. “I think in a lot of people’s minds there’s been this artificial distinction between doing good and using business strategies,” Kreiner said. At the hospital where she works, Mwangani hopes to create a system where those who want private rooms, fast-tracked service and other accommodations can get them by paying more. The extra money will then pay for those who can’t afford to visit the hospital at all. And together, they will learn from each other’s failures and successes — hoping to start a movement that could change their communities for generations to come.